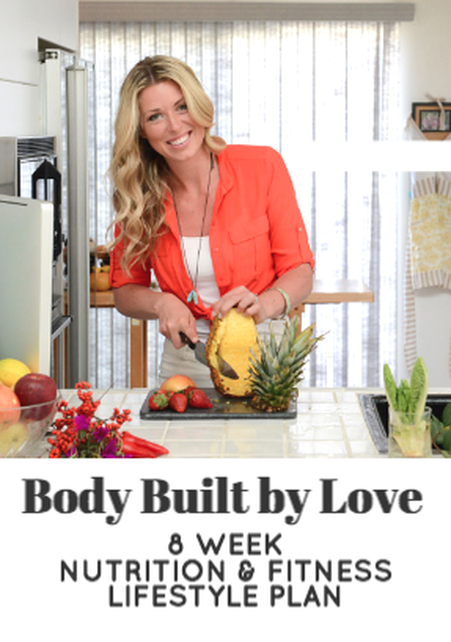 My Body Built By Love Food & Fitness Guides walk you step-by-step through every meal and every workout, every day. No more guessing. Life is crazy and busy enough, I've got your back on food and workouts! These amazing meals will energize you. You'll be motivated to live a healthier lifestyle, you'll look amazing and you'll be more glowing and confident than ever before. 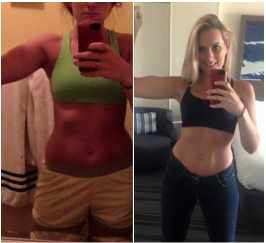 "​Steph's Program has completely changed my life! Not only did I lose 8 inches all over my body and drop 17 pounds, I also gained a new healthy relationship with food that no health or fitness program has ever taught me. I went on my first "diet" sometime in middle school and since then, have tried fad diets and various fitness programs that worked for a short period of time, but the weight always came back. The positive approach that Steph has as a health coach and the tools she provides during the program to teach participants a healthy lifestyle is what makes this program different from any other health program out there. The food is delicious and the program layout of doing pre-week food prep makes staying on track when you have a busy lifestyle very realistic. The workouts are targeted to be short and sweet to give you great results and not spend hours at the gym! This program gave me all the tools I needed to continue living a healthy lifestyle after the 8 weeks ended and I am happy to say that I am continuing to keep the weight off and have dropped 4 more pounds! Thank you Steph for creating this incredible program!!" You'll know exactly what to eat and what to buy each week. This includes instructions on where to find the healthiest ingredients at the best price. Healthy, nourishing and HIGHLY requested by husbands, kids and everyone in between. Quick and easy workouts you can do at home. These educational videos form a solid foundation of deep nutritional knowledge that is essential for weight loss success. ​Following the meal prep guide allows you to save massive amounts of time during the week. It makes it easy to make healthy choices, even on stressful and busy days. Guides are virtual and are available worldwide. Every workout can be done from home or your local park. Join hundreds of women (and men) across the nation and 5 countries worldwide living healthier, happier lifestyles. Back when the first picture was taken I went to the gym pretty often and ate what I thought was healthy. I would hope that every morning when I looked in the mirror I would look different - less jiggle, more tone. But it seemed that the weight on the scale kept going up and the pants kept getting tighter. Not being able to get the extra weight off no matter what I did was so frustrating. I felt like I tried everything. What I didn't realize was there were key elements and habits missing. I didn't have the whole picture. When I did, I lost 30 pounds. I loved sharing and testing what I learned with my family, friends and fiancee Josh! My parents each lost 30 pounds, Josh lost 30 pounds, my friends lost weight...even my cat lost a couple pounds! I put what I learned into this downloadable, clear, done-for-you guide so that anyone anywhere can do it too - without a gym, without spending a lot of money or time and without any cooking experience. Hundreds of women (& men) across the U.S. and over 5 countries live by these guides and have lost anywhere from 5 - 25 pounds! Now it's your turn! 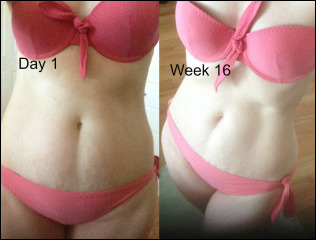 I challenge you to 7 days or 8 weeks of nourishing, slimming, delicious meals and fat burning, body toning, fun workouts! These guides will change your habits and transform your body! "I lost 15 pounds, feel better, am much more energized and am excited to get up every day and workout"
"I lost 17 pounds, inches all over my body and have added so much positivity to my life"
"I'm getting a better night's sleep, I have so much more energy and I feel stronger - physically and emotionally"
The Maasai are an African tribe in southern Kenya and northern Tanzania. A group of women from the tribe were first introduced to me by a friend who visits to help women in need. One night before dinner she asked for our prayers for a Maasai woman named Kasana, a good friend of hers, who had recently died of starvation. I was devastated and wanted to help. I put together a plan to use my Body Built By Love program to bring health to women across the world in many different ways. On top of the health benefits you'll receive from joining this program, you help another woman in need. 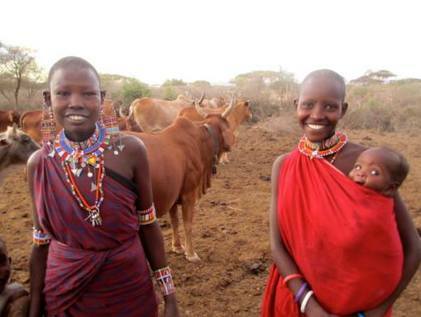 Five dollars of every program purchased will go to these women. Since we started the 8 week program in 2015 we've already helped feed many women and have increased their opportunity to feel safe and healthy. The profits from 2016 will go directly to two women in desperate need of help with basic survival requirements, especially food. Their names are Sempeye and Nasikoi. The amount of food and survival materials will not only last them a long time, but will set them up to be able to sell small amounts to neighbors, which will generate income to help their supplies last longer. "Wow! Where to begin? The structure and encouragement that the nutrition plans, fitness schedules, and calls provided have been a staple in truly changing my life. This program has really helped me to make health & fitness a priority in my life, something I've been struggling to do for many, many years. Steph has been there every step of the way for support and alternative suggestions if something isn't working. I'm so grateful that I decided to give the program a shot because it's been the one program (out of countless attempts at others) that has really motivated me to make a lifelong change. After only 4 weeks, I've lost 10 pounds, have much more energy, feel happier, healthier, and more confident. I can't wait to see what a whole life of this feels like!" 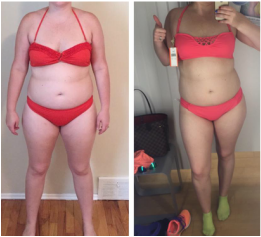 "I started this about 16 weeks ago. 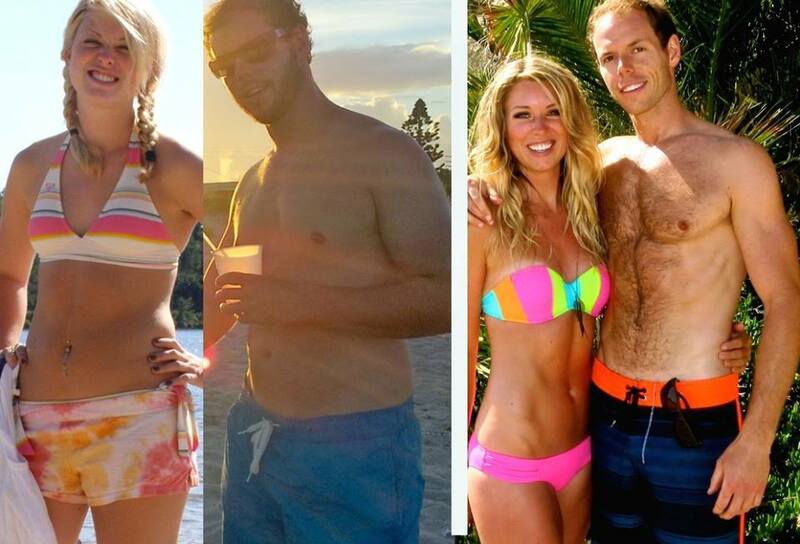 I lost weight, built muscle, gained energy, better sleep, and created healthier habits for my family. This was a win on all fronts. I thought I ate pretty healthy, but now I appreciate the new knowledge I have gained, and have definitely found better and healthier nutrition. Steph is so supportive and really understands not just fitness and nutrition, but our emotional blocks too. She has helped me change my mindset, not just about my body, but about life, work, chores, food! I love it! What makes it different is it covers everything from your mindset to nutrition and fitness. I think it takes all of those things and support to be successful. I find it so inspirational and extremely uplifting. Steph is amazing!" 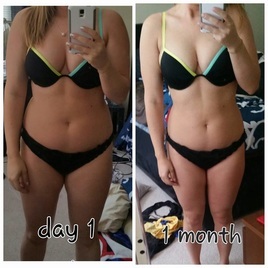 "I highly recommend the 8 Week Bikini Abs Program to anyone who is looking for an amazing way to change their life. This isn't a "fad diet" or "health trend" - this is designed to awaken your soul to a whole new lifestyle. It has been the best thing I've done for myself in a long time. Before joining, I thought I knew what healthy meant. I've tried just about every other fad diet or fitness trend out there, often times seeing little to no results and falling off the wagon quickly. Stephanie and Josh have opened my eyes to taking care of myself in new ways and finding joy in simple pleasures that I never knew existed. Who knew that preparing healthy meals and working out each day could be FUN!? The results are incredible too. In just four weeks, I am already down 10 lbs; something that would have taken me months to achieve on my own. Steph takes her time in carefully drawing out custom meal plans that leave you full and energized. They are incredibly delicious, satisfying, and fun to prepare. And talk about budget friendly too - I never thought I'd actually SAVE money by shopping at Whole Foods and other organic grocery stores! Steph also teaches you how easy it is to make simple tweaks to your daily routine to see much better results. Each day I wake up feeling energized and excited to tackle whatever comes my way. The group forum is also a huge benefit to this program. Having a group of supportive friends to cheer you on along the way has been the "make-it or break-it" for most of us. The program is designed to feel like a family, where both your successes and set-backs are celebrated and embraced. We use each others experiences to draw strength and explore creative ways to live the "good, better, best" code. It's been life changing to say the least. If you are looking for a program to change your life and help you discover the strongest version of you, then you don't want to pass this one up!" "So I had a huge realization today. This program has changed the way I live my life and think about my body and well being. I realize that after 8 wks I may not have made every meal or did every exercise, but I made a lifestyle change by making it a priority to get out and get moving getting up and getting moving every day and I am making more conscious decisions about what I'm putting into my body. It feels great! When I looked in the mirror of my hotel room today I'm feeling better about myself...not 100% but I'm getting there and for once I feel like I can achieve what I wasn't. Yes sometimes I get off track but instead of getting down about it, I realize it's ok I can have a fresh start the next day. Change doesn't happen overnight. I'm finally ready to post my before and after pictures...they're not great but like I said I now have the tools to get me to where I want to be..slowly but surly!! Thank you Steph and josh and everyone else in this incredible group I couldn't have done it without you!"